North Las Vegas wants developers, businesses and potential homeowners to know the city is the place to be, and there’s no recession this time to slow it down. No part of the valley took a greater hit during the Great Recession than North Las Vegas, which had been one of the fastest-growing cities in the nation. It was viewed as being ready to go to another level in terms of housing, industrial and commercial development because of its availability of land when the recession halted that development. The city’s housing sector had the highest percentage of foreclosures in the valley. But now that the economy has rebounded, North Las Vegas is primed to go to the next level that many people expected more than a decade ago. Nothing epitomizes that more than national companies eyeing the city for projects that will create jobs and add retail space. Even homebuilders are making a renewed push to build. In April, Amazon unveiled plans to expand distribution operations in the valley by building a 2.4 million-square-foot fulfillment center. 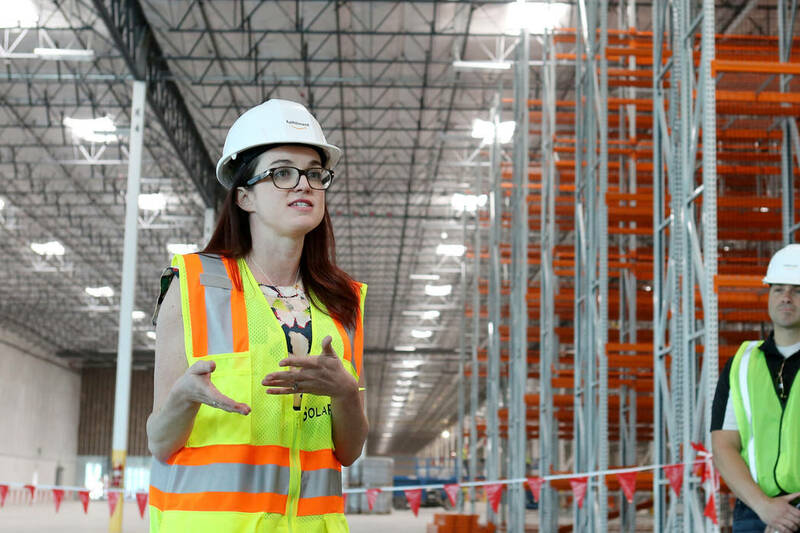 The project at the 120-acre Tropical Distribution Center will create more than 1,000 full-time jobs when it opens in late 2019. In May, Sephora, a French cosmetics firm, announced plans to build a 714,000-square-foot distribution center in North Las Vegas at the same center just east of Interstate 15 near the Las Vegas Motor Speedway. The project by VanTrust Real Estate is expected to open in 2019 and create about 400 jobs over five years. City officials said those projects might not be as conspicuous as a new baseball or football stadium, but construction of these facilities demonstrates a newfound corporate enthusiasm about North Las Vegas. The city’s annual permit valuation in 2012 was $175 million. Last year, it was more than $470 million. New commercial and industrial construction valuation was $8 million in 2010 and $18 million in 2012. In 2017, it was up to $188 million, according to city officials. North Las Vegas Mayor John Lee didn’t hesitate to promote the city when he recently spoke to the Southern Nevada chapter of NAIOP, the development organization, on how the city is becoming an e-commerce capital and a place where businesses and residents want to locate. Even Nellis Air Force Base will double in size over the next 10 years with two new air wings coming in, city officials said. Lee said North Las Vegas’ reputation is changing from the 1989 movie and 1990 television series “Nasty Boys” about undercover North Las Vegas narcotics officers. Lee even tried to make comparisons and aspirations to be like Henderson, which has Water Street, a redeveloped downtown and the master plan of Green Valley that has elevated that city over the years. With more jobs being created, more retail space and lower home prices than other parts of the valley, that’s going to lure more people, he said. Developer Jeff LaPour of LaPour Partners said he agreed with Lee that the city has seen a major transformation. The development along Interstate 15 and the 215 Beltway rivals some of the best master planning in Southern California, and downtown is being revitalized, he said. In downtown, Maya Cinemas is being built across the street from City Hall for an expected opening at the end of the year. Architectural plans were recently submitted for a new downtown library branch and educational park, and a cultural center is in the works for the same campus. About a dozen businesses have opened in just a few blocks’ radius, including medical facilities, restaurants and retail shops. There are also plans for a commercial master-planned development, city officials said. “I remember 13 years ago a downtown that was a different place then and today is much different and vibrant, and there’s a lot more to come,” LaPour said. The development community says North Las Vegas has a lot going for it. 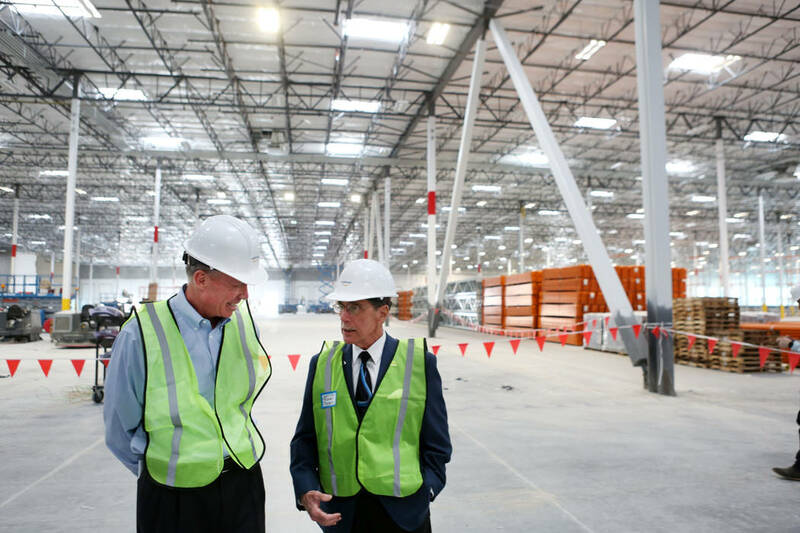 There are large, contiguous tracts of inexpensive land compared to other parts of the valley, good interstate and rail transportation access and infrastructure improvements on I-15 and the 215 Beltway that will further aid growth. As the city provides sewer, water and power utilities, those areas are going to be prime for development. The optimism over North Las Vegas was echoed by George Garcia, founder and president of G.C. Garcia Inc., a development consultant in the area for more than two decades. He said commercial and mixed-use growth, which has been lagging, will soon catch up in a big way. North Las Vegas is not only starting to see new housing developments and strong industrial development, but what has been enormous for the city is the building of new commercial retail centers that have been lacking in the community, Garcia said. Garcia helped gain entitlements for 50 acres of mixed-use development near the 215 Beltway and Revere Street. The Insight Development project will include a grocery store, medical offices, hotel, restaurant, banks and retail. Garcia has been working on another project for a shopping center at Tropical Parkway and Lamb Boulevard near the Amazon facility. As evidence, officials cited the new restaurants coming to Craig Road — Southern Nevada’s first Texas Roadhouse, Red Lobster, Blaze Pizza, Cafe Rio, Jersey Mike’s and Starbucks. Nearby and surrounding the new Dignity Health Neighborhood Hospital, several medical offices and related services are in the works to complement the hospital. A free-standing MountainView emergency room is under construction at the 215 Beltway and Aliante Parkway, city officials said. The plan to develop utilities and new development on the large spaces of land by the VA Medical Center in Apex Industrial Park and around the Las Vegas Motor Speedway is paying dividends, according to Adam Malan, director of brokerage with Logic Commercial Real Estate. A month ago, North Las Vegas held groundbreaking ceremonies for extending the city’s water line 12 miles north to Apex to open 3,000 acres to development and job creation. The city is building water lines to extend to a city well in the northern end of Apex. In addition, construction is well underway on a $43 million project to bring sewer service and road improvements out to the vacant land near the Las Vegas Motor Speedway. The Nevada Department of Transportation is working on a new I-15/215 interchange to make the area easily accessible to vehicle and truck traffic. Additionally, Clark County announced a major freeway extension in the area that has been 10 years in the making. Union Pacific is investing almost $10 million in the area for railroad improvements, city officials said. There’s already a growing boom in housing. 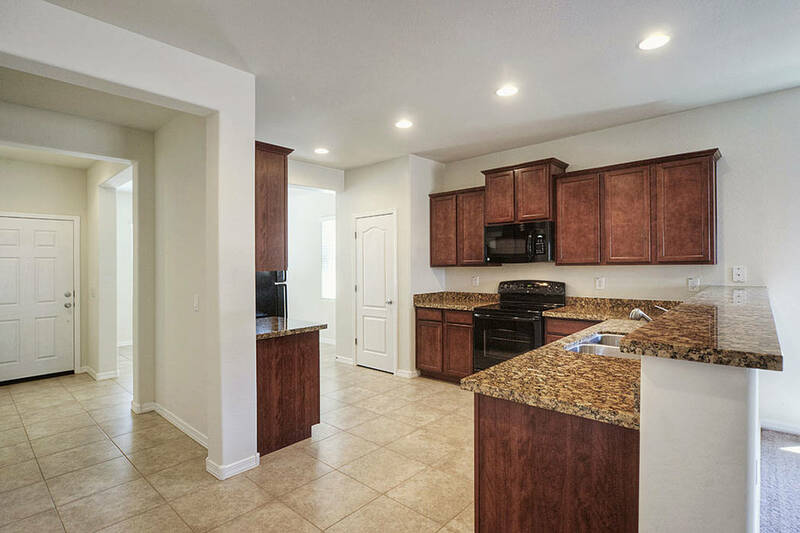 Model homes in several neighborhoods at the Villages at Tule Springs are open. Some 8,000 homes are planned. Valle Vista (formerly Park Highlands) is in the final stages of planning. The North Las Vegas Planning Commission has approved at least five tentative maps, and developers are finalizing agreements with the city. Four thousand homes are planned on 600 acres, city officials said. At Sedona Ranch, grading and other land work are progressing at the former pig farm for the development of 1,100 homes and 22 acres of commercial space, according to North Las Vegas. Lennar recently bought 40 acres. 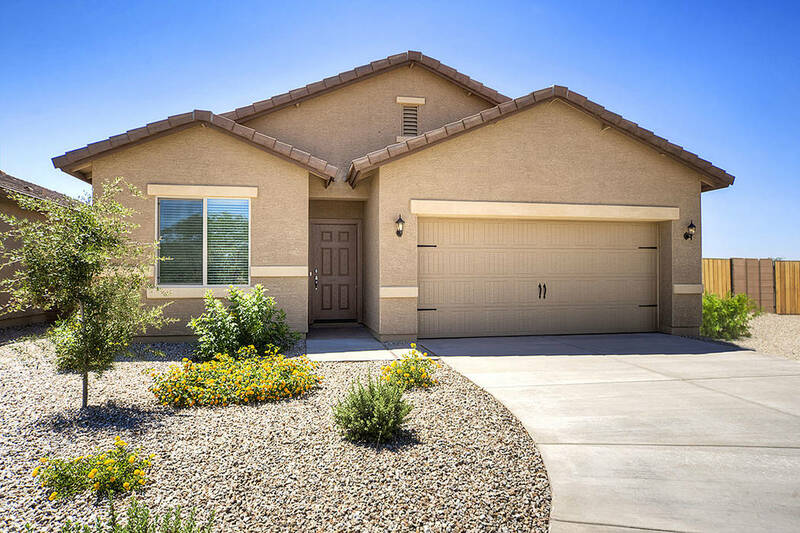 Model homes are open at Desert Mesa, a project of KB Homes. There are hundreds of infill lots being developed in other parts of the city. Richmond American was in contract to purchase 80 acres in North Las Vegas. Texas-based LGI Homes, a newcomer to the marketplace, is building in North Las Vegas after closing on 102 lots at East Lake Mead Boulevard and Dolly Lane. Eldorado, Pardee Homes’ master-planned community that helped shape the history of North Las Vegas, is about to close out its last neighborhoods after 28 years. Pardee has 59 homes under construction at nearby Tule Springs, where it will build more than 400 on more than 100 acres and is looking to acquire more land in the master plan, Andrews said. KB Home is also building in Tule Springs and recently bought 80 acres. Dennis Smith, founder of Home Builders Research, said builders are just starting to take advantage of the 215 Beltway. When there’s available land at a competitive price near a freeway and existing retail options, that’s a formula for housing growth, he said.